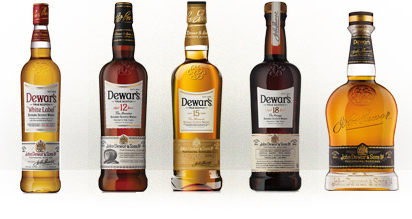 April 7, 2014 – The five blended Scotches that make up the Dewar’s range of whiskies are getting new packaging designed to focus on the brand’s heritage. The move comes as Dewar’s parent Bacardi implements a new marketing campaign under the banner “True Scotch Since 1846.” The UK, Spain, and Greece will see the new bottles first, with a gradual rollout worldwide across all markets. In addition, the packaging for Dewar’s Signature will also include a certificate of authenticity signed by Master Blender Stephanie Macleod, the seventh person to serve as Master Blender for the Dewar’s range since 1846. The changes also include a major upgrade at the Dewar’s World of Whisky visitors center located at Aberfeldy Distillery near Pitlochry in the Scottish Highlands. The center will reopen later this month after being closed for renovations. Marshall noted that the World of Whisky had not been updated since its opening in 2003, and among the new features will be a blending lab where visitors can create their own personal blend. Aberfeldy’s single malt range is also receiving a new packaging design, which Marshall said will be unveiled later this month. Editor’s note: This story was updated on April 10 following an interview with Stephen Marshall of Dewar’s.